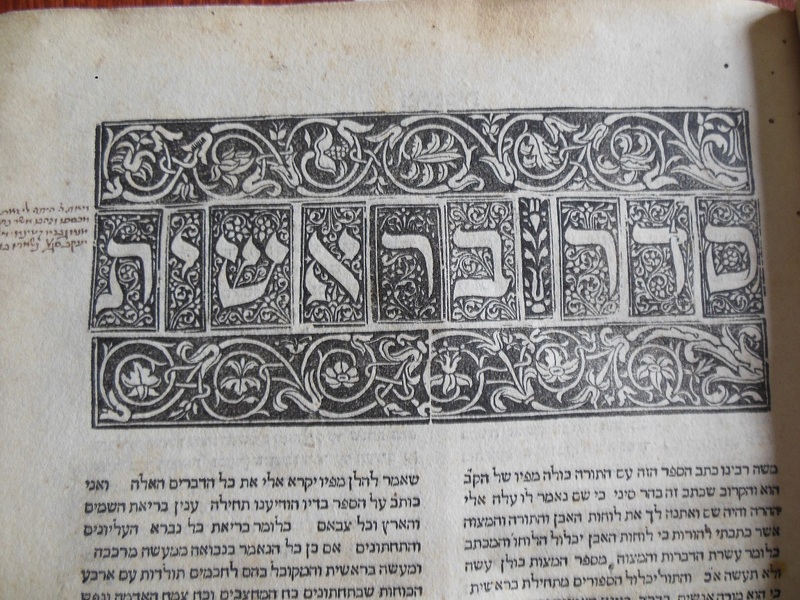 A rare and early commentary on the Pentateuch from New College Library has just arrived back in Edinburgh, after travelling all the way to Latvia to be part of the exhibition “1514. The Book. 2014“. New College Library staff worked together with exhibitions, museum and conservation staff from Library & University Collections to ensure that the volume has a safe journey. The exhibition was held until April 2015 at the National Library of Latvia. It included 80 books drawn from the collections of 18 different European libraries with rich collections of sixteenth-century publications. They were all published in 1514, a year of great change, 60 years after Gutenberg and on the cusp of the Reformation in Europe. Opened by two presidents – Latvian HE Andris Berzins and Austrian HE Heinz Fischer, the exhibition received more than 101,200 visitors over the year, including other political leaders of EU countries such as Angela Merkel. This work, Perush-ha Torah, is just one of the early works of Jewish scholarship in the Dalman-Christie collection of Hebrew books, which was recently catalogued as part of the Funk Donation Projects at New College Library. 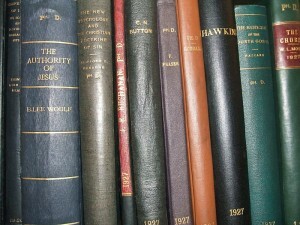 The Dalman-Christie Collection was transferred to New College Library in 1946 from the Church of Scotland Hospice in Jerusalem. 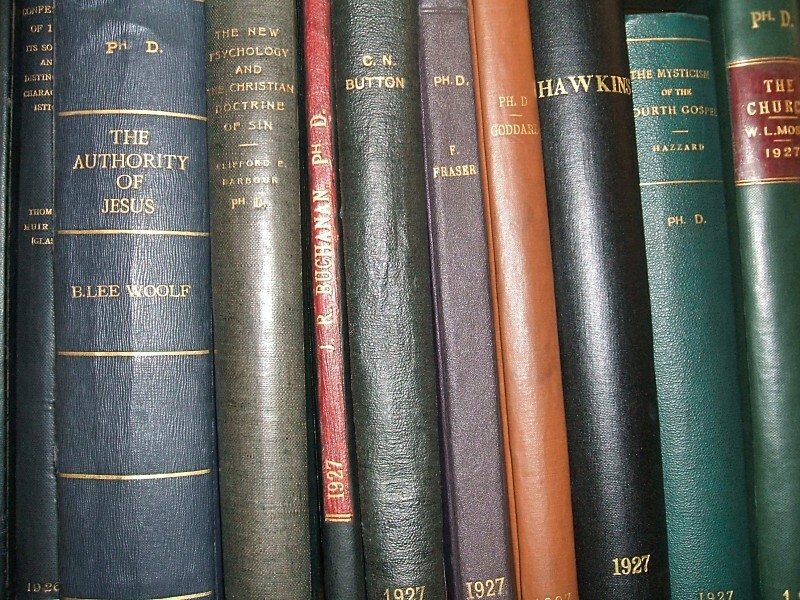 I’m delighted to announced that nearly two hundred and fifty theses dating from 1921-1950 from the New College Library collection are now available online in the Edinburgh Research Archive, part of the Divinity Dissertation and Thesis Collection. While later theses are held in 2 copies, one at the Main Library, we believe that New College Library holds the only copy of theses from this early period. 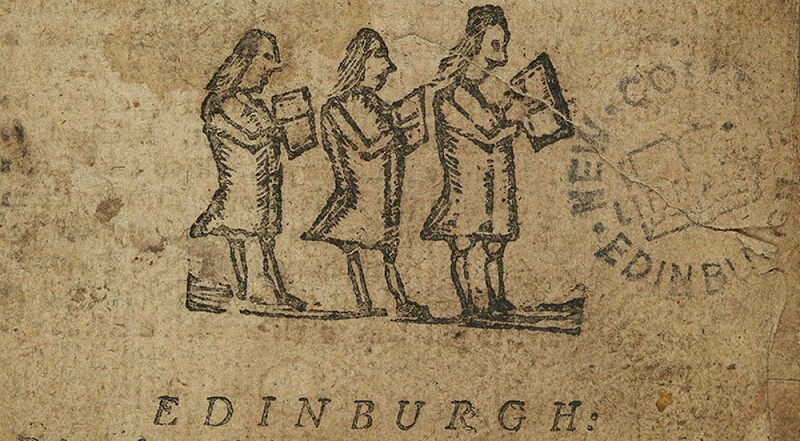 The New College Theses collection was catalogued online in 2012 as part of the Funk Projects. The theses are fully searchable on the ERA platform but also discoverable via Google, making New College scholarship accessible to a much wider audience. The collection includes a wide variety of research topics, such as Comparison of Chinese and Hebrew wisdom, as exemplified in the Book of Proverbs …  by Elizabeth G.K. Hewat, or The Christian Inscriptions of North Africa …  by Ian Thomson Gillan. Do you recognise any of the authors? We’d love to know more about what happened next to these Divinity alumni. Brueggemann, Walter. Spirituality of the Psalms / Published:Minneapolis, MN : Fortress Press, c2002. BS1430.53 Bru. Men and masculinity in the Hebrew Bible and beyond / Sheffield [Eng.] : Sheffield Phoenix Press, 2010 BS574.5 Men. Long, D. Stephen, 1960- Speaking of God : theology, language, and truth / Published:Grand Rapids, Michigan : Wm. B. Eerdmans Publishing Co., 2009.BT40 Lon. Hearing the New Testament : strategies for interpretation / Grand Rapids, Mich. : W.B. Eerdmans Pub. Co.,  BS2331 Hea. Huehnergard, John, An introduction to Ugaritic / Peabody, Massachusetts : Hendrickson Publishers Marketing,  PJ4150.G63 Hue. All these books (and more) were recommended by Divinity students and are now available to University of Edinburgh Library users – more details on the library catalogue. 100+ book recommendations from Divinity students have been received over since August 2014, via the student recommendation form on the Library website.